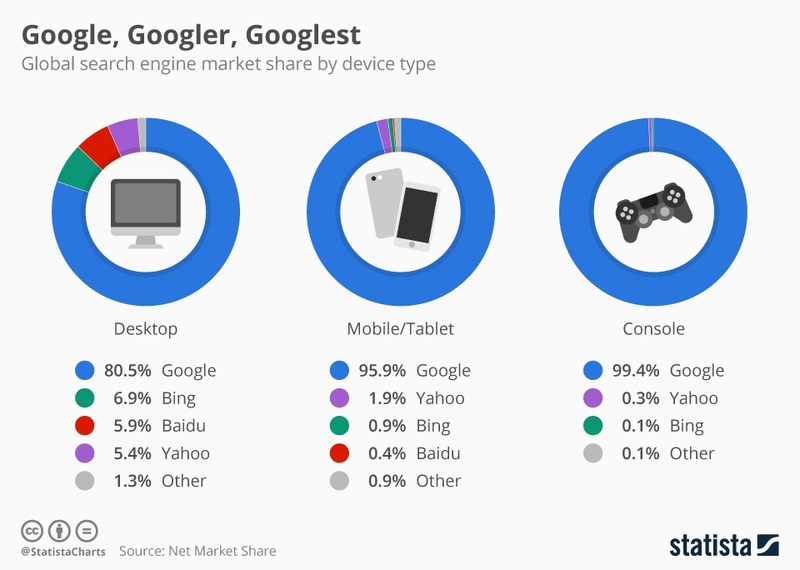 If you like to keep up with the latest Google’s algorithm changes, you might have noticed that the search engine giant has been placing a big emphasis on mobile over the past few years. Whether it is about making a website mobile-friendly or gradually shifting its search index to mobile-first, Google is indeed leaving no stone unturned in showing more relevant search results to mobile searchers and making the web universally accessible to everyone. Given that mobile use is continuously on the rise and Google alone drives over 96% of mobile search traffic, optimizing your WordPress site for Google’s Mobile-first Indexing becomes imperative to rank higher in search engine result pages (SERPs) and get more organic traffic to your WordPress site. If you implement the tips given here, you’ll be able not only to leverage mobile-first index to its fullest but also to avoid any potential SEO disasters. 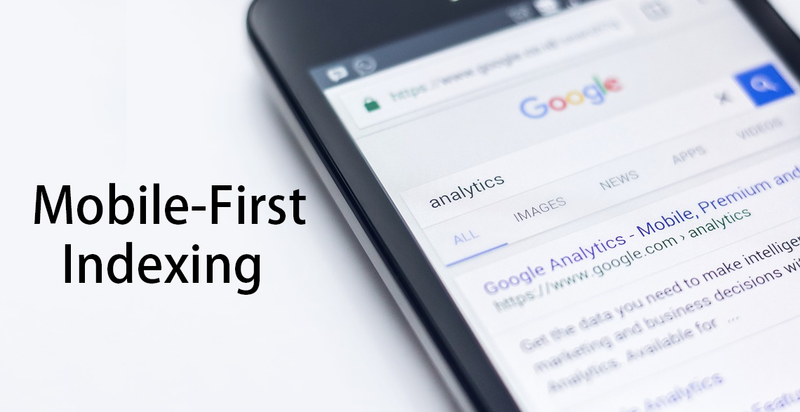 But first, you need to understand what Mobile-first indexing actually is! Google, since its inception, has been ranking websites through a desktop-oriented method of indexing. Up until the day it made an official announcement about rolling out mobile-first indexing, Google used to look at the desktop version of a page’s content to evaluate how much relevant it is to user’s query. Deliver users a great search experience by helping them find exactly what they’re looking for, irrespective of whether they come from mobile or desktop devices. In simplest terms, mobile-first indexing means that instead of the desktop version, Google now uses the mobile version of a website as its primary search engine index to determine its ranking in search results – even if the search is initiated from a desktop device. 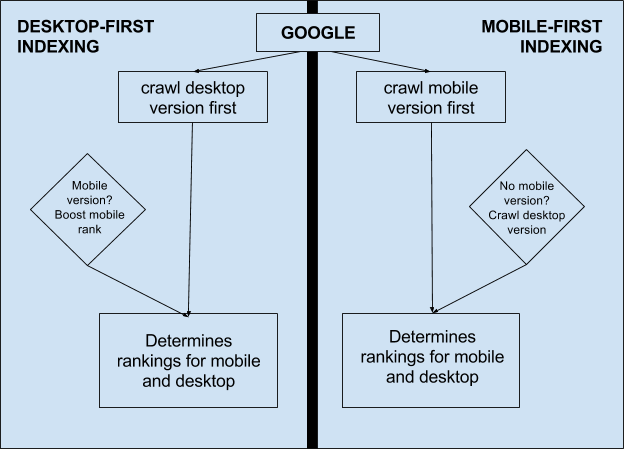 An important thing to note here is that mobile-first index is not separate from Google’s main search index. 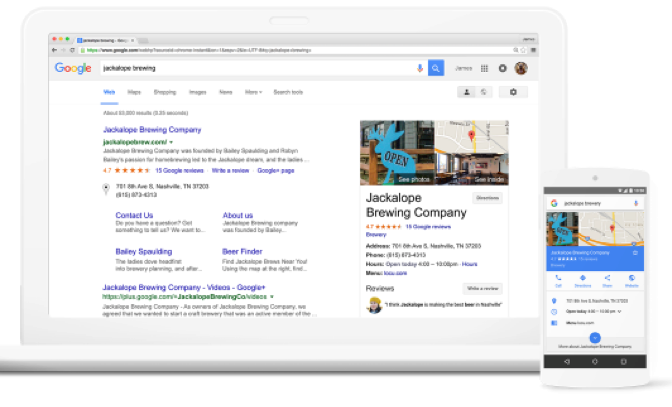 It still uses one single index to serve users relevant search results from all websites and apps. Since we’ve not yet seen a “mobile-only” shift, Google still includes the desktop version in the search index, if a website doesn’t have a mobile-friendly version and only has a desktop version. This means not having a mobile-friendly version doesn’t directly affect your website’s rankings but it definitely hurts user-experience on mobile devices, which eventually leads to drop in both organic traffic and website ranking. Desktop only: If your WordPress site doesn’t have a mobile-friendly version, there is no need to change anything. However, keep in mind that Google looks at it through the eyes of a mobile user. Responsive Web Design: If your WordPress site is fully responsive, you’re 100% safe as it already delivers users an excellent mobile experience. Canonical AMP: If all pages of your WordPress site are created in AMP HTML, no need to worry about ranking. Separate URLs: If your desktop site has a separate mobile version with an equivalent m-dot URL, Google prefers the mobile URL over desktop URL for indexing and ranking. strong>Dynamic Serving: If your WordPress site dynamically serves different content on different devices on the same URL, Google prefers the mobile-optimized content for indexing and ranking. AMP and non-AMP: If both AMP and non-AMP versions of a web page are available, Google prioritizes the non-AMP mobile version for indexing and ranking. Thus, if you’re already using a responsive WordPress theme that delivers users an equal mobile and desktop experience or if you have a desktop-only website in place, you really don’t need to change anything – just ensure that your WordPress site loads at the speed of light. However, if you’re serving two (or more) versions of your WordPress website, make sure you follow the best practices below to optimize your site for mobile first indexing. If you have more than one version of your WordPress site, make sure all versions contain the same content as your desktop site. To be more specific, the mobile version must feature the same content as the desktop version of your website. Generally, rather than creating a mobile-friendly version with the same content, people prefer to use a watered-down version of their desktop site for mobile users. This was okay in the past but today if you want to rank higher in search engine results, you’ll have to make your mobile website completely equivalent to its desktop counterpart. To make your WordPress site compatible to Google mobile-first index, make sure the mobile version contains everything – whether it is text, images, videos or anything else – available on the desktop alternative in the usual crawlable and indexable format. This way, your users will be able to access all your key content even from mobile devices. The best way to do this is probably by first exporting the content from the desktop version and then importing it into the mobile installation. Since Google recently started taking the speed of a web page into account while determining rankings in mobile search results, speed is one of the most important factors you must focus on while optimizing your WordPress site for the mobile-first index. No matter how fast your desktop website is, you could still experience a drop in your search engine rankings if your mobile site takes too long to load. Move your WordPress site to a faster web host that is able to handle increased crawl rate. That said, even if you have a fully responsive website, you must prioritize page speed to deliver users a smooth mobile experience. 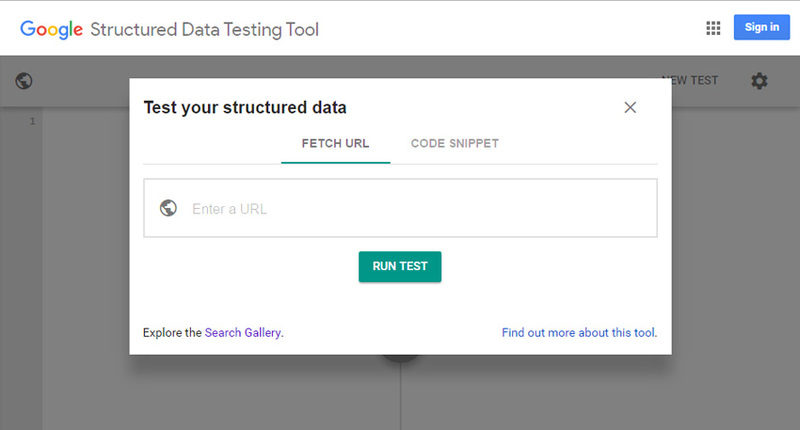 Structured Data: should be present the same on both versions of your WordPress site. Metadata: Titles and Meta descriptions should be same across both versions. Hreflang: If your WordPress site is multilingual, use the rel=hreflang tag separately on mobile and desktop version. Social Metadata: Social tags like Open Graph Tags, Twitter cards, etc. should be present on the mobile as well as the desktop variant of your WordPress site. XML Sitemap and robots.txt: Use the robots.txt testing tool to verify that the mobile version of your WordPress site is accessible to Googlebot. Also, ensure any links to any links to your XML sitemap can be easily accessed from the mobile version. Google Search Console Verification: Add and verify the mobile version of your WordPress site in the Search Console. Mobile users are more prone to take an action when they discover a local business through their smartphones. This is because that they can reach out to the seller in person quickly if they have any questions or inquiries related to products or services. That’s all about optimizing a WordPress site for Google’s Mobile-first Indexing.